WASHINGTON ― When the U.S., France and Britain launched 105 cruise missiles at a trio of Syrian targets April 13, all eyes were on how the vaunted air defense network in Syria would handle the weapon. But the crown jewel of that system, Russia’s highly regarded S-400, never fired. And while the older Syrian systems did appear to launch some munitions, the Pentagon claims those systems were not used until after the Western weaponry had already impacted their targets. 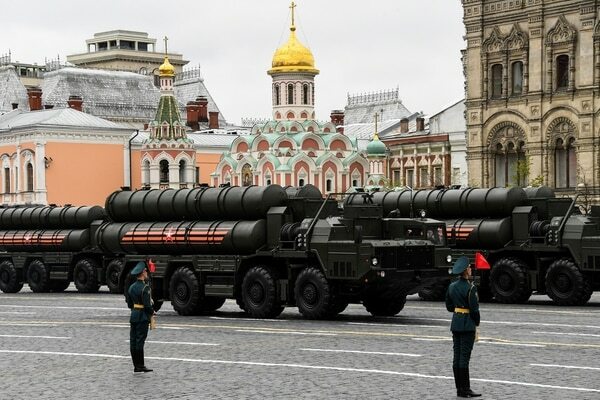 The obvious question that remains unanswered is whether Russia chose not to engage S-400s, or was simply unable to, whether because of American nonkinetic capabilities impacting those system or some other reason. Given the pre-attack notice given by the Pentagon to Russian forces through a deconfliction line, as well as the fact that no strikes were targeted at the air defenses themselves, analysts lean toward the former. Regardless, the fact the S-400 was not engaged means drawing hard conclusions about Syria’s air defense network from the strikes is difficult, said Tom Karako of the Center for Strategic and International Studies. The Pentagon on Thursday corrected the record on the use of an advanced air-to-surface missile and the F-22 Raptor fighter during the April 13 strike on Syrian regime chemical weapons facilities. Because the S-400 wasn’t actually used, it is unlikely the U.S. will be able to turn around and use the strikes as proof that its NATO ally Turkey should not go through with plans to purchase the system, although Pentagon spokeswoman Dana White recently said those conversations are ongoing. But while the U.S. likely can’t draw many conclusions about the S-400 from this exercise, it is possible Russia learned a lot. Lavrov agrees the attacks on Syria could provide Moscow a wealth of information. When a French multimission frigate failed to fire its salvo of three naval cruise missiles during last weekend’s joint airstrike on Syria, the military drew on a backup plan. One thing both sides can conclude: that the allied weapons ― 66 sea-launched Tomahawks, 19 JASSM air-launched cruise missiles, eight British Storm Shadow air-launched cruise missiles, nine French Scalp air-launched cruise missiles, and two French naval missiles ― all seemed to succeed during their flights.